As states all over the country consider plastic bag bans this legislative session, it is important to ensure that the policy considered can demonstrate clear impact including a clear reduction in bag pollution, and a behavior shift towards reusable bags. Luckily, we now definitively have proof that the California statewide bag ban is working! CalRecycle, the agency tasked with managing and enforcing California's laws related to waste management recently released a report highlighting the results of a survey of thousands of stores and grocers. The study found that in the six months after the bag ban went into effect, in 86 percent of transactions, customers brought their own bag and didn't purchase a paper or reusable bag. As a result, there was an 85 percent reduction in the number of plastic bags and a 61 percent reduction in the number of paper bags provided to customers. Not only did the law results in a massive reduction in the amount of plastic bags given out to customers, but a significant reduction in the number of paper bags provided. 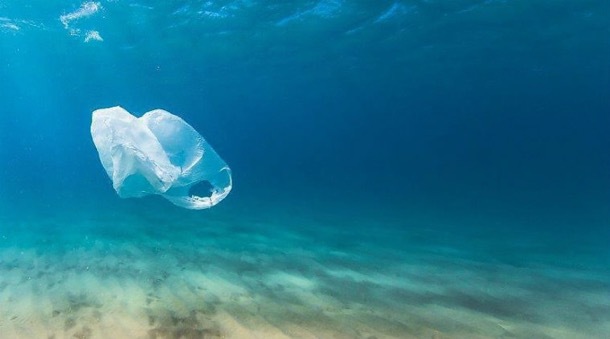 As Surfrider has advocated, a bag law that bans plastic bags and places a fee on paper and reusable bags at checkout is the best way to incentivize consumers to bring their own bag and this study proves it. 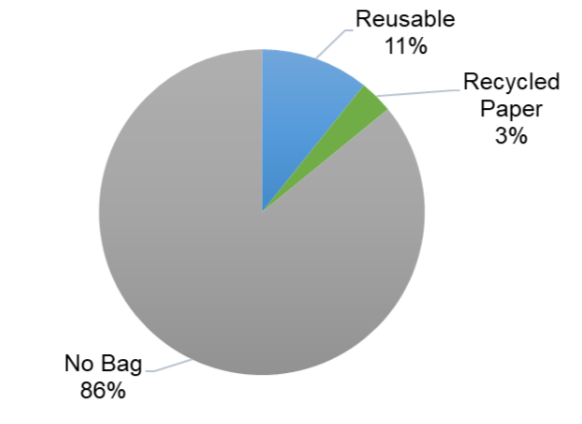 Bag use at checkout from survey results six months after SB 270 went into effect. This information is critical as many states are currently considering bag laws that do not include a fee on paper. While we celebrate the passage of the New York statewide bag ban, we also recognize that this law is not sufficient in moving towards zero-waste goals and ensuring that we do not exchange the environmental burden of plastic for paper. CalRecycle also made a list of recommendations to improve the effectiveness of the law. This includes requiring stores to report bag sales and useage to understand effectiveness more and to consider increasing the fee on paper and reusable bags. While the fee of 10 cents has shown to incentivize consumers to bring their own bags, a higher fee would incentvize customers to actually reuse the thick plastic film bags as well as increase the number of shoppers that bring their own bags. In turn, bag producers will also have more incentive to create a durable, long lasting reusable bag. In summary, it is clear that plastic bag laws work to incentivize customers to bring their own bags and show a distinct decrease in the amount of single-use plasic bags found on our beaches. This data also shows that a fee on paper and other bags is an essential ingredient to ensure that the use of paper bags also decreases. As Surfrider fights to ban the bag in Washington, Oregon, and the states of the Northeast this year, we remain committed to passing policies that work to reduce plastic at the source and move consumers towards reusables. Check out our campaigns page to learn more where we are fighting the plastic bag!